I’d like to finally start investing, but the market has been on a crazy run over the last 10 years. How do I pick the right time to start? I don’t want to see stocks fall right after I buy them. Appreciate you taking the time to write in. It’s always great to hear from our readers. First, I’d like you to remember a simple mantra. Time in the market beats timing the market for the long-term investor. This mantra has done a lot for me. 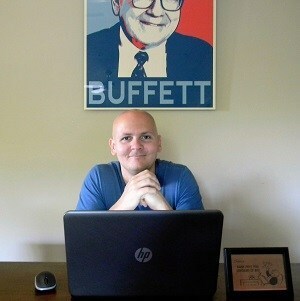 It’s helped me prosper in the markets and retain the proper mindset. I fully believe in regularly investing, regardless of what the market is doing. This belief has been a backbone of my investing activities on my way to reaching financial independence and retiring at just 33 years old. See, nobody can predict the future. There isn’t a soul in the world who can tell you the perfect time to invest money. Stock market predictions aren’t worth the paper – or digital space – they’re printed on. I first started buying stocks back in early 2010. This might have seen like a most opportune time to be buying stocks – and it certainly was, with the benefit of hindsight in 2019. But I remember all kinds of noise back then about how it was a terrible time to invest. Many people were scared because the financial crisis had just come to pass. And they were positive another crash was just around the corner. Indeed, as the market continued to climb higher, these people continued to shun the market because the higher prices only meant more risk and a larger drop. Well, we all know what’s occurred since then. The S&P 500 has basically quadrupled since its 2009 low. Yet those same people who were scared then would wish for a 20% or 30% drop from where we’re currently at, which would obviously still be much higher than where things were at back then. I won’t tell you the market won’t drop 10% or 20% at some point in the very near future. I won’t tell you that because I can’t tell you that. Nobody can tell you that. What I do know, however, is that the US stock market is one of the greatest long-term wealth and income generators the world has ever seen. The short term can see all kinds of volatility. But the long term is an amazing sight to behold. 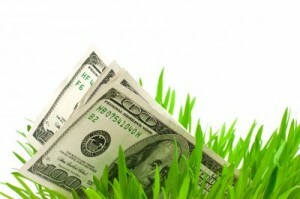 Moreover, I think it’s important to focus on income, not net worth, wealth, or stock prices. 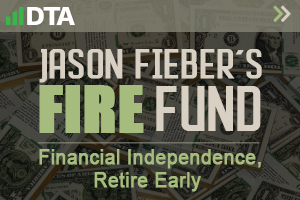 I’ll submit my FIRE Fund as Exhibit A.
That’s my real-life, real-money early retirement stock portfolio. 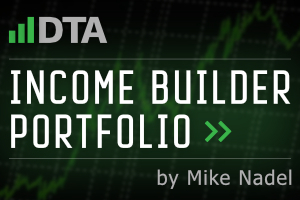 It’s chock-full of high-quality dividend growth stocks, and it generates the five-figure and growing passive dividend income I need to cover my essential expenses. Now, the value of that portfolio oscillates all the time. 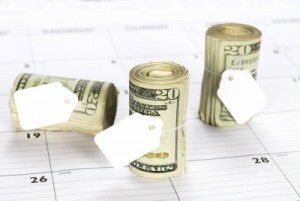 It can go up or down by tens of thousands of dollars per month. But you know what doesn’t oscillate so much? You know what tends to only go up? 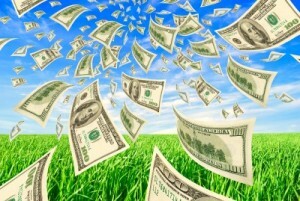 The dividend income the Fund generates. That’s because I invest in high-quality dividend growth stocks like those you’ll find on the Dividend Champions, Contenders, and Challengers list. These are stocks that pay their shareholders rising dividends – every stock on that list has raised dividends each year for at least the last five consecutive years. These growing dividends are funded by the growing profit these companies produce. Sure, profit can go up and down, too. A major recession can cause a drop in profit. But many of these companies kept on pumping out growing dividends straight through the financial crisis. When you have a great business model that provides the products and/or services the world demands, even a recession can’t disrupt the business too much. I mean, a recession doesn’t mean people stop heating their homes, turning on their lights, eating food, throwing out their trash, brushing their teeth, or using their credit cards for purchases they must make. Life goes on. It must go on. Even throughout the ups and downs of the global economy. While the stock prices of these businesses can go down – sometimes even a lot – in a recession or stock market correction, the dividends tend to continue rising because of the dynamics I just laid out. This is a huge reason why I’m a long-term dividend growth investor. For further perspective, my FIRE Fund was valued at $382,752 on December 4, 2018. It dropped to a value of $350,242 on January 1, 2019. We’re talking less than a month’s time, yet the value dropped by over $30,000! But what happened to the dividend income? Well, it rose, of course. Total expected annual dividend income from the Fund increased by $104.12, or 0.8%, between December 4, 2018 and January 1, 2019. This is why I focus on the Fund’s income, not the Fund’s value. If you invest in high-quality companies, properly diversify, and buy when individual business valuations are appealing, it’s highly unlikely that your annual income will drop, even during a period of broader stock market turmoil. And it’s ultimately income, not net worth, that pays the bills. 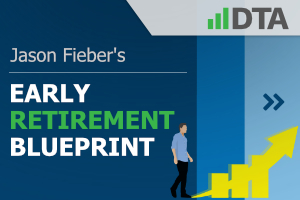 If you’re ready to read more, make sure to check out my Early Retirement Blueprint. It’s a great step-by-step guide that almost anyone can follow. It lays out how I went from below broke at 27 to financially free at 33. 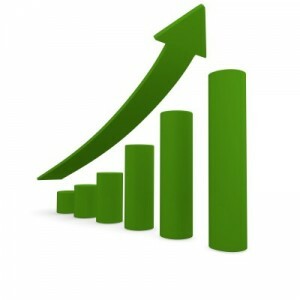 I’ve given you some basic background on dividend growth investing in order to get you thinking. 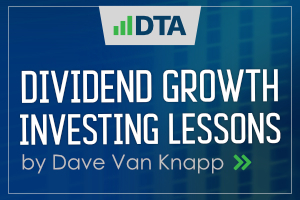 But fellow contributor Dave Van Knapp’s Dividend Growth Investing Lessons provide a lot more detail. Read through those lessons so that you can greatly expand your knowledge and comfort level. Once you feel comfortable with investing your capital, I personally provide compelling long-term dividend growth stock investment ideas every single Sunday. 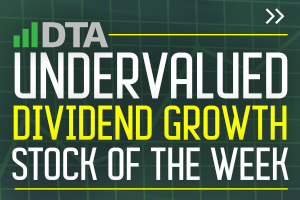 These ideas are provided for free via the Undervalued Dividend Growth Stock of the Week series. Aaron, you asked me for the about the “right” time to start investing. But I’ll give you my answer. This answer is given regardless of where the stock market is at. The right time to start investing is today.